Prayer: This writ petition is filed under Article 226 of Constitution of India, praying this Court to issue a writ of Certiorarified Mandamus, calling for the G.O.Ms.No.215 Health and Family Welfare (B2) Department, dated 12.6.2007, and quash the same and incidentally annul the clause No.68(d) of the Post-Graduate Degree/Diploma/M.D.S./Five Year M.Ch. (Neuro Surgery) courses in the Tamil Nadu Governmental Medical/Dental Non-Governmental Self Financing and Government Aided Colleges Prospectus 2005-2006, and the communication issued by the second respondent to the 4th respondent bearing Ref.No.20149/E3/1/2008 Directorate of Medical Education, Chennai-10, dated 2.4.2008 as void and thereon accordingly forbear the respondents from in any manner enforcing the bond as against the Post Graduate/Diploma/ Degree candidates for the period 2005 to 2008, which was obtained from the petitioner by the 4th respondent. The common prayer in these writ petitions is to quash the G.O.Ms.No.215 Health and Family Welfare Department, dated 12.6.2007 and to annul Clause 68(d) of the P.G. Degree/Diploma for MDS for five year M.Ch (Neuro Surgery) course in the Tamil Nadu Government Medical/Dental non-governmental self-financing and Government aided college prospectus 2005 as well as the proceedings of the second respondent dated 2.4.2008 and forbear the respondent from in any manner enforcing the bond as against the P.G. Diploma/Degree candidates for the period 2005-2008. 2. The issue involved in all these writ petitions being one and the same, all the writ petitions are dealt with by this common order. 3. The petitioners herein are Post Graduate Degree/Diploma holders in medicine in allied branches. The petitioners are admitted in their respective PG Degree/Diploma course 2005-2006 and the Diploma holders completed their two years Diploma course and the Degree holders also completed their three years course as of now. All the petitioners are admitted in the PG Degree/Diploma courses in Non-Service Quota (50%)/All India Quota seats provided for admission to PG Degree/Diploma courses. 4. The case of the petitioners who were admitted under the All India Quota is that they have not applied for admission to PG Degree/Diploma course before the respondents as per the prospectus issued by the respondents for admission 2005-2006 and they appeared for All India Entrance Test in respect of All India seats and based on the marks secured by them in the Entrance Examination and as per their choice of the course/Colleges, they were selected and admitted in the medical colleges in Tamil Nadu. Thus, the contention of the said candidates is that the prospectus issued by the respondents, particularly Clause 68(d) and the Government order issued in G.O.Ms.No.215 Health and Family Welfare Department, dated 12.6.2007 as well as the circular issued by the second respondent dated 2.4.2008 are not applicable to the candidates admitted on the basis of selection made under the All India quota. 5. The case of the other petitioners, who are admitted under the Non-Service Quota is that they were forced to execute a bond while joining in their respective PG Degree/Diploma course to serve in the Government Institution for a period of three years, if the government give them posting, failing which the PG Diploma Holders shall pay a sum of Rs.2 lakhs and the PG Degree Holders shall pay a sum of Rs.3 lakhs for not serving in the Government, for the above period. 6. The petitioners are also challenging the order of the Government issued in G.O.Ms.No.215 Health and Family Welfare Department, dated 12.6.2007 stating that their Post Graduate Degree/Diploma certificates will be returned to the Doctors only on satisfactory completion of Government services for two years and the Clause in the Government Order granting relaxation of Rule 10(a)(i) of the General Rules for the Tamil Nadu State and Subordinate Services, so as to enable the PG Degree/Diploma Holders to serve for a minimum period of three years and they can be made permanent, if they appear and pass in the TNPSC selection. The circular of the second respondent dated 2.4.2008 is also challenged calling upon the PG Degree/Diploma Holders to attend counselling for appointment for the period of three years. 7. The contentions raised in these writ petitions are that the bond executed by the petitioners will not bind them as they were forced to execute the same at the time of joining, without any option. The PG Degree/Diploma Holders are not assured of posting on completion of their course in consonance with their qualification and therefore they are compelled to work in primary Health Centres, where there is no provision to treat the patients as per their specialisation. The stipend given to the petitioners by the Government is like allowances paid to apprentices while they get training and therefore the payment of stipend by the Government during their course of PG Degree/Diploma studies cannot be a reason to compel them to serve in the Government Hospitals for three years. The petitioners are prevented from pursuing their super speciality course before serving as per the bond condition. By creating temporary post for three years, by relaxation of Rule 10(a)(i) of the Tamil Nadu General State and Subordinate Service Rules, is arbitrary and violative of Article 16 of the Constitution of India. The respondents have no jurisdiction to retain the original certificates on completion of their course, which prevents the petitioners to register their PG Degree/Diploma in the State Medical Council, disabling them to practice. (1) The Government have taken a policy decision to start up Government Medical Colleges in every Districts in Tamil Nadu to provide territory care and sophisticated treatment for the welfare of the poor patients. (2) The Doctors are given job opportunities in the Government service, with the above clause. (3) Consequent of starting of new medical colleges in every district considerable strength of Doctors are needed to satisfy the MCI norms and for the treatment of poor patients. It is also stated in the counter affidavit that having executed a bond by accepting the condition contained in Clause 68(d), the petitioners are estopped from contending that the said bond conditions cannot be enforced. The relaxation of Rule 10(a)(i) is ordered only to enable the respondents to give appointment order to PG Degree/Diploma Holders to serve temporarily for three years and they can participate in the TNPSC selection and get permanent appointment. Insofar as the retaining of the certificates it is stated that if the original certificates are issued, the implementation of the bond condition could not be possible and if any candidate is not willing to join the service, they can remit the bond amount and get the original certificates. Insofar as the contention that the candidates are posted in Primary Health Centres, counselling is arranged and based on the vacancy position, candidates are posted in their speciality/sub-speciality and their services are utilised. The demand of original certificates to appear for Competitive Entrance Examinations for pursuing Super-speciality course is breach of bond. The amount claimed through execution of the bond is very reasonable and there is no arbitrariness or irrationality in the clause. 9. The learned counsel for the petitioners submitted that the respondents are not entitled to invoke the bond condition against All India Quota students since they have not applied before the respondents for admission based on the prospectus. The Government Order was issued after the petitioners joined in their respective course of PG Degree/Diploma. The respondents having extracted the services of the PG students to treat the patients in the Government hospitals attached to the Medical Colleges, the stipend paid and the subsidised fee paid is already compensated and there is no necessity to impose further condition to serve in the Government Hospitals for three years. By enforcing the bond and not issuing the certificates, the petitioners are prevented from joining in super speciality course for three years which is highly arbitrary. The PG Degree/Diploma Holders cannot be posted in the Primary Health Centres, as there is no adequate infrastructural facilities available to treat the patients as per their speciality. By relaxation of Rule 10(a)(i) of the General Rules of the States and Subordinate Service, the respondents are creating compulsory temporary service, which is unconstitutional. There is no job security to the petitioners after completion of three years of temporary service and they will be sent out on completion of the period, which would cause great prejudice in the petitioners' entire career. The conditions in the prospectus can be challenged at any time since it affects the fundamental rights of the petitioners as there is no waiver of fundamental right. In support of the above contentions, the learned counsel cited various judgments. 10. The learned Additional Advocate General on the other hand submitted that the prospectus being the rule of selection and such of those candidates applied and got admitted in the PG Degree/Diploma courses by executing bond to serve for three years in the Government Hospitals are to pay Rs.2 lakhs insofar as the Diploma Holders and Rs.3 lakhs by PG Degree Holders, the petitioners are not entitled to challenge the same after completion of the course and the attitude of the petitioners amounts to seeking the change of rule in the middle of the game and the same is impermissible. The learned Additional Advocate General also submitted that based on the speciality in the PG Degree/Diploma, candidates are given posting either in the Medical Colleges/District Headquarters Hospitals or in Primary Health Centres, where advanced way of treatment is also now introduced and as far as possible the candidates are posted in their respective specialised field depending upon the vacancy position through counselling. The petitioners having executed their bonds to serve for three years, they are not entitled to appear for admission to the super speciality course and only after serving three years, they can join in the super speciality course. The impugned clause in the prospectus as well as the Government order is issued taking note of public interest to serve the rural public and the petitioners are also bound to comply with the conditions contained in the bonds, failing which they are bound to remit the bond amount to the Government and there is no illegality or irrationality in the impugned orders. 11. I have considered the rival submissions of the learned counsel appearing for the petitioners as well as respondents. 1) Whether the respondents are justified in getting bonds from the candidates selected under All India Quota ? 2) Whether the candidates selected under the Non-Service Quota in the State selection are entitled to challenge the prospectus, after joining in the course and after completion of the course ? 3) Whether the G.O.Ms.No.215 Health and Family Welfare Department, dated 12.6.2007, ordering retention of original certificates of the PG Degree /Diploma Holders on their completion of respective course, is valid ? 4) Whether the respondents can deny the rights of the PG Degree/Diploma Holders to apply for the super speciality courses, merely because they have not completed the bond period ? 13. Issue No.1: The petitioners, who are admitted on All India Quota, never applied before the respondents for admission to PG Degree/Diploma course. They have applied pursuant to the prospectus issued for admission to the said category and therefore the respondents cannot enforce the prospectus conditions, particularly clause 68(d) and direct the said candidates to execute the bonds at the time of joining in the course and such execution of the bonds will not in any way bind the All India Quota candidates. The learned Additional Advocate General also admitted the said issue and fairly submitted that the conditions of the bond and the Government Order cannot be applied to the candidates selected under the All India Quota. Hence it is held that the respondents are not entitled to enforce the bond or the Government order or the circular of the second respondent against the PG Degree/Diploma Holders, who are admitted under the All India Quota. "Clause 68(d). Non-Service candidates shall execute a bond for a sum of Rs.2,00,000 (Rupees Two lakhs only) on admission to Postgraduate Diploma Courses and Rs.3,00,000/- (Rupees Three lakhs only) for Postgraduate Degree courses/MDS/ M.Ch., (Neuro Surgery) 5 years Course of the 2005-2006 session undertaking that they shall serve the Government of Tamil Nadu for a period of not less than 3 years, if required. 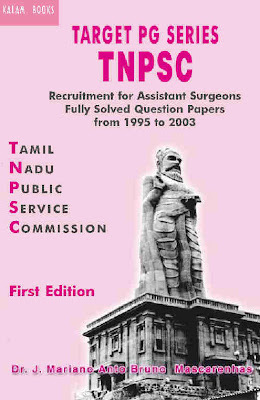 During the above period, they will be paid a salary on par with the fresh recruits of the Government of Tamil Nadu Medical Services and the Government of Tamil Nadu will requisition their services, if required, within a period of 2 years from the date of completion of their Postgraduate Degree/Diploma/ MDS/M.Ch., (Neuro Surgery) 5 years Course. Two permanent Government servants shall be sureties. The prescribed form of bond will be available in the colleges at the time of admission. The bond will become infructuous if he/she serves the State Government of Tamil Nadu if required for a minimum period of 3 years." The prospectus issued in the year 2005-2006 is the rule of selection for admission of all the petitioners to PG Degree/Diploma Course admitted in Non-Service Quota of the State Government. The said rules having been accepted by the petitioners and submitted their application for appearance in the entrance examination for selection and based on the marks secured by them they were selected and admitted in the Government Colleges in the Degree/Diploma Courses. The said candidates also executed the bonds as per clause 68(d) and therefore the candidates admitted under the State Quota - Non-Service are bound to comply with the conditions contained in the bonds, if they are offered posting and if they are not willing to join, they have to necessarily remit a sum of Rs.2 lakhs/Rs.3 lakhs as the case may be to the Government. Whether the prospectus, which is the rule of selection can be challenged after taking part in the selection and got admitted and after completion of the course, came up for consideration before this Court as well as the Supreme Court in various decisions. 19. The principle that the prospectus is binding on all persons concerned has been laid by the Supreme Court in Punjab Engineering College, Chandigarh vs. Sanjay Gulati (AIR 1983 Supreme Court 580 = 1983 (96) LW 172 S.N.). Following the same, a Division Bench of this Court has also observed in Rathnaswamy, Dr.A. Vs. Director of Medical Education (1986 WLR 207) that the rules and norms of the prospectus are to be strictly and solemnly adhered to. The same view is also taken by another Division Bench of this Court in Nithiyan P. and S.P.Prasanna vs. State of Tamil Nadu (1994 WLR 624). The same principle is reiterated in the case of Dr.M.Ashiq Nihmathullah vs. The Government of Tamil Nadu and others reported in 2005 WLR 697. It is clear that the prospectus is a piece of information and it is binding on the candidates as well as on the State including the machinery appointed by it for identifying the candidates for selection and admission. 16. In the impugned order, the respondent only reiterates the clause contained in the instructions to candidates, which the petitioners also undertook to abide by while filling their application forms. They have participated in the examination, attended counselling and also subjected themselves for selection after accepting all the terms and conditions, joined their course of study and completed their course of study. "13. We have considered the rival submissions in the light of the facts presented before us. It is not in dispute that all the candidates were made aware of the procedure for promotion before they sat for the written test and before they appeared before the Departmental Promotion Committee. Therefore, they cannot turn around and contend later when they found they were not selected by challenging that procedure and contending that the marks prescribed for interview and confidential reports are disproportionately high and the authorities cannot fix a minimum to be secured either at interview or in the assessment on confidential report. ......."
18. The principle of estoppel is considered by the Honourable Supreme Court in various decisions. "In view of our judgment in Appeals Nos.883 and 898 to 905 of 1975 : (Reported in AIR 1977 SC 876) which has just been delivered and the fact that the appellant acquiesced to the 1970 Rules by applying for the post of the Village Accountant, appearing before the Recruitment Committee for interview in 1972 and 1974 and taking a chance of being selected, the present appeal which questions the constitutionality of Rules 4 and 5 of the 1970 Rules cannot be allowed. It is accordingly dismissed but without any order as to costs." "24. Moreover, this is a case where the petitioner in the writ petition should not have been granted any relief. He had appeared for the examination without protest. He filed the petition only after he had perhaps realised that he would not succeed in the examination. The High Court itself has observed that the setting aside of the results of examinations held in the other districts would cause hardship to the candidates who had appeared there. The same yardstick should have been applied to the candidates in the district of Kanpur also. They were not responsible for the conduct of the examination." "9. ........ The petitioners also appeared at the oral interview conducted by the Members concerned of the Commission who interviewed the petitioners as well as the contesting respondents concerned. Thus the petitioners took a chance to get themselves selected at the said oral interview. Only because they did not find themselves to have emerged successful as a result of their combined performance both at written test and oral interview, they have filed this petition. It is now well settled that if a candidate takes a calculated chance and appears at the interview, then, only because the result of the interview is not palatable to him, he cannot turn round and subsequently contend that the process of interview was unfair or the Selection Committee was not properly constituted. In the case of Om Prakash Shukla v. Akhilesh Kumar Shukla (AIR 1986 SC 1043) it has been clearly laid down by a Bench of three learned Judges of this Court that when the petitioner appeared at the examination without protest and when he found that he would not succeed in examination he filed a petition challenging the said examination, the High Court should not have granted any relief to such a petitioner." "Question No.2: We hold that writ petitioners are not entitled to challenge the selection after having participated in the written examination on the principle of estoppel." 19. The above referred judgments are followed in a recent decision of a Division Bench of this Court in (2007) 5 MLJ 648 (Indian Airlines Ltd. v.K.Narayanan), wherein the contention of the management therein that person participated in selection in terms of the notification are estopped from challenging the mode of selection or the conditions contained in the instructions/rules was upheld. 20. I have also considered similar issue in W.P. (MD)Nos.9694 and 9695 of 2007 and dismissed the writ petitions by order dated 22.11.2007, holding that the rules of selection are binding on the candidates, who participate in the selection without demur. The writ appeals preferred against the said order in W.A. (MD)Nos.90 and 91 of 2008 were also dismissed by Division Bench by judgment dated 5.2.2008. "13. We do not find any substance in this submission advanced on behalf of the assessee. The only notification which was available to the assessee at the time of import which granted the assessee the right to import duty free goods was Notification No.158/95-Cus. Having availed of the benefit of notification, the assessee has necessarily to comply with the conditions of the notification. It goes without saying that the assessee cannot approbate and reprobate. ..."
"7. It is not disputed that the respondent-writ petitioners herein participated in the process of selection knowing fully well that the educational qualification was clearly indicated in the advertisement itself as BPE or graduate with diploma in Physical Education. Having unsuccessfully participated in the process of selection without any demur they are estopped from challenging the selection criterion inter alia that the advertisement and selection with regard to requisite educational qualifications were contrary to the Rules. 8. In Madan Lal v. State of J&K this Court pointed out that when the petitioners appeared at the oral interview conducted by the members concerned of the Commission who interviewed the petitioners as well as the contesting respondents concerned, the petitioners took a chance to get themselves selected at the said oral interview. Therefore, only because they did not find themselves to have emerged successful as a result of their combined performance both at written test and oral interview, they have filed writ petitions. This Court further pointed out that if a candidate takes a calculated chance and appears at the interview, then, only because the result of the interview is not palatable to him, he cannot turn round and subsequently contend that the process of interview was unfair or the Selection Committee was not properly constituted. 9. In the present case, as already pointed out, the respondent-writ petitioners herein participated in the selection process without any demur; they are estopped from complaining that the selection process was not in accordance with the Rules. If they think that the advertisement and selection process were not in accordance with the Rules they could have challenged the advertisement and selection process without participating in the selection process. This has not been done. 10. In a recent judgment in Marripati Nagaraja v. Govt. of A.P., SCR at p.516, this Court has succinctly held that the appellants had appeared at the examination without any demur. They did not question the validity of fixing the said date before the appropriate authority. They are, therefore, estopped and precluded from questioning the selection process. 11. We are of the view that the Division Bench of the High Court could have dismissed the appeal on this score alone as has been done by the learned Single Judge." 22. The contention of the petitioners that they are not given posting as per their specialisation in Rural Health Centres, can be addressed by the respondents by accommodating the persons, either giving posting in the Medical Colleges/District Headquarters Hospitals/Taluk Headquarters Hospitals, where the advanced mode of treatment is available. Even otherwise, all the PG Degree/Diploma Holders have already completed MBBS Degree and therefore they can also serve for some time in the rural area in the absence of vacancies available, according to their specialisation. 23. Thus it is beyond doubt that the prospectus is the rule of selection, which is binding on the parties. Thus, the students admitted under the Non-Service Quota other than All India Quota are bound to comply with the conditions contained in the prospectus and the bond executed, that they shall serve for 3 years, failing which they have to remit a sum of Rs.2/Rs.3 lakhs respectively to the respondents. The challenge made by the petitioners, who were selected under the State Quota are rejected. 24. Issue No.3: Insofar as the Government order in G.O.Ms.No.215 Health and Family Welfare Department dated 12.7.2007, ordering retention of PG Degree/Diploma Certificates till the completion of two years of service, the contention of the learned counsel for the petitioner is well founded. The bond condition nowhere stipulates retention of Diploma/Degree certificates or any other certificates. Further, the petitioners have joined in their respective PG Degree/Diploma course prior to the issuance of the impugned Government order. Hence on any account, the petitioners' certificates cannot be retained by the respondents for any reason much less for enforcing the bond condition. Even in respect of the persons joined in PG Degree/Diploma courses subsequent to the issuance of the Government order, the respondents cannot retain the said certificates as the certificates belong to the petitioners and the same are required for registration in the Medical Council, to pursue their higher studies and for joining any private institutions. What is required under the bond executed by the petitioners is that they can either serve for three years or the respondents can demand a sum of Rs.2/Rs.3 lakhs for the breach of bond conditions. If for any reason petitioners are not willing to join, the respondents can only demand the said amount and therefore the condition to retain the certificates till the completion of two years of service is arbitrary and irrational. i. The candidates, possessing diploma qualification such as DA, DCH, DGO may be accommodated for appointment in Comprehensive Emergency Obstetric and Newborn Care (CEmONC) Centres and Taluk Headquarters Hospitals. ii. The doctors having diploma qualification of other specialities may be accommodated in Taluk Hospitals having 1-3 doctors. iii. The Doctors with specialities like DPM, DMRT, DCP and non clinical specialities may be accommodated in teaching institutions. iv. The Post Graduate diploma/degree certificate may be issued to the doctors only on satisfactory completion of Government services for two years. 2. The Government, after examination, permit the Director of Public Health and Preventive Medicine to appoint the non-service Post Graduates and Diploma Holders in the existing vacancies under the control of the Director of Medical and Rural Health Services and the Director of Medical Education (i.e) in the sanctioned posts in the time scale of pay of Rs.8000-275-13500 with other allowances on temporary basis and allow them to work for a minimum period of 3 years in relaxation of orders issued in G.O. (Ms)No.790, Labour and Employment Department, dated 5.7.1971 and in relaxation of rule 10(a)(i) of the General Rules for the Tamil Nadu State and Subordinate Services. 3. In exercise of the power conferred under rule 48 of the General Rules for the Tamil Nadu State and Subordinate Services contained in Part-II of Volume-I of the Tamil Nadu Service Manual 1987, the Governor of Tamil Nadu hereby relaxes the rule 10(a)(i) of the General Rules, so as to appoint the non-service Post Graduates and Diploma Holders temporarily in the Tamil Nadu Medical Service in the time scale of pay of Rs.8000-275-13500. 4. The Director of Public Health and Preventive Medicine is requested to inform the non-service Post Graduates and Diploma Holders appointed in the above vacancies to appear for the Tamil Nadu Public Service Commission examination as and when conducted and get selected for their permanent absorption in Government Service." The Government though not accepted the said suggestion to retain the certificates, the petitioners are not given the certificates till date, which is an unauthorised action on the part of the Deans of the Government Medical Colleges. 26. This Court in W.P.No.12885 to 12887 of 2008, etc., batch, by order dated 20.11.2008 considered similar issue with regard to retention of certificates/documents from the PG students. In the said order this Court held that such condition is not contemplated under the terms and conditions of the bond and therefore the respondents cannot retain the certificates and direction was issued to return the certificates individually by the respective Dean of the Medical Colleges, within a period of two weeks and if the conditions of bonds executed is not complied with, it is open to the respondents to enforce the conditions of the bonds in the manner known to law. Thus, it is clear that the Government Order imposing the condition not to return the original certificates of the petitioners till the completion of two years of service in the Government Institution as per the bond, is illegal and the same is declared as invalid. 27. Issue No.4: Insofar as the denial of permission to apply for super speciality course or higher studies by the petitioners before completion of the bond period, the petitioners are justified in contending that their right to pursue higher studies cannot be denied by the respondents merely because they have executed bonds. Right to pursue higher studies is to be treated as a human right and the same cannot be denied merely because the petitioners have executed a bond to serve for three years after completing their PG Degree/Diploma. 28. Thus, the respondents cannot deny the petitioners' right to apply for higher studies/super speciality courses under the guise of enforcing the bond conditions. The petitioners are entitled to appear for Entrance Examinations for super speciality course, which are conducted by the Government/any University/Deemed Universities and if they are selected, the respondents are bound to relieve the petitioners even if they are in temporary service as per the bond, after getting an Undertaking from the petitioners that they should serve the remaining period of bond, if not, it is well open to the respondents to collect the bond amount as mentioned in the bond with proportionate interest. On any account no PG Degree/Diploma Holder can be prevented by the respondents to pursue their higher studies and improve their knowledge of specialisation. Thus the said issue is answered against the respondents on the above terms. 29. Insofar as the contention of the petitioners that by granting relaxation of Rule 10(a)(i), respondents are violating the constitutional provision of Article 16, cannot be sustained as the PG Degree/Diploma students admitted under the Non-Service Quota becomes a Clause by itself and irrespective of any discrimination from among them, all the candidates are directed to serve in the Government Colleges/Hospitals for three years with the scale of pay and there is no discrimination by implementing the G.O.Ms.No.215, dated 12.6.2007. Thus the contention raised by the petitioners on this aspect is rejected. (1) The PG Degree/Diploma Holders, who applied for their Degree/Diploma course through All India Entrance Examination for selection to All India Quota seats and admitted to Tamil Nadu Government Medical Colleges are not bound by the terms and conditions issued by the respondents through their prospectus. Even if any candidate executed bond, it will have no effect since they have not applied for admission under the impugned prospectus. (2) The candidates admitted in the State Quota under the Non-Service category are bound by the terms of the bond executed by them pursuant to the prospectus Clause 68(d) and on completion of their course, they are bound to serve in Government Colleges/Hospitals according to the availability of posts for three years, failing which it is open to the respondents to recover the sum of Rs.2/Rs.3 lakhs as the case may be, as per the bond conditions. (3) No PG Degree/Diploma Holder shall be denied of their certificates in original on their completion of their course as the respondents have no jurisdiction to retain their certificates and the respondents are directed to return all the certificates of the petitioners within two weeks from the date of the receipt of copy of this order. (4) No PG Degree/Diploma Holder, who completed their course or joined in Government Service temporarily as per the bond, shall be denied of opportunity of applying for super speciality course and if they are selected, they should be permitted to undergo the course subject to the condition that remaining period of service shall be served in the Government Institutions by the concerned person after the completion of their respective super speciality course. If not, it is open to the respondents to recover the bond amount with proportionate interest. (5) There will be no order as to costs. (6) Connected miscellaneous petitions are closed. It is an interesting Judgement. If it is published in any Law Journal, Please give the reference Number, to quate it for my case.